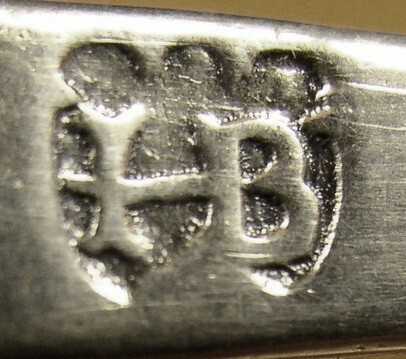 J.C. Boardman Co. / Boardman Silversmiths, Inc.
Partnered with his son in the firm of E.B. 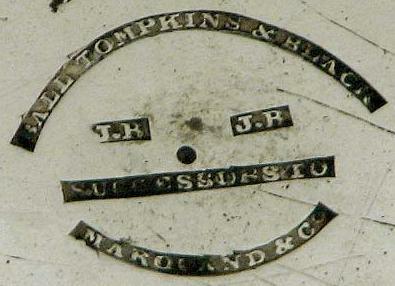 Booth & Son 1861-1888. Founded as Carpenter & Bliss in North Attleboro, MA, in 1875.
changed to the Napier Co. in 1922, which is still in business today. jewelers and evolved into chronometer and nautical instrument makers. 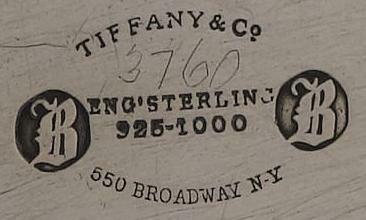 Was a partner in the firm of Eaton, Gordon & Bogert with William R.
Eaton and John Gordon 1856-1860 then Gordon & Bogert 1860-1864.
was a major supplier of holloware to Tiffany & Co. 1866-1868. Observatory of Harvard in Cambridge, MA.